Between the 21st to 31st of last January, indie cinema lovers have gathered in the small town of Park City, Utah, so that they could visit the 32nd Sundance Festival. This year, coincidence had it so that the event showcased two films inspired by the tragic story of Christine Chubbuck, a 29-year old TV journalist who committed suicide live in 1974: the documentary Kate Plays Christine and the drama film Christine which both attempt to bring understanding to this gruesome act. By drawing attention to this, they are also joining one of the most passionate communities on the Internet: "lost media” hunters. Christine Chubbuck was working for WXLT, a local TV channel which was concentrated on the coast of SouthWest Florida. When she pointed a gun behind her left ear and pressed the trigger while she was on the air, on the morning of July 14th of 1974, a few hundreds of people at most saw her fall down dead. They would never see it again: the only recording of the young woman's last moments was done by WXLT and, under lawyer advice, was never broadcast again by the channel. After investigation, the police seemingly passed the tape containing Christine Chubbuck's last moments to her family. To this day, it is still unknown what they did with it. A few weeks ago, the anchorwoman's brother himself admitted that he didn't know where it was today. 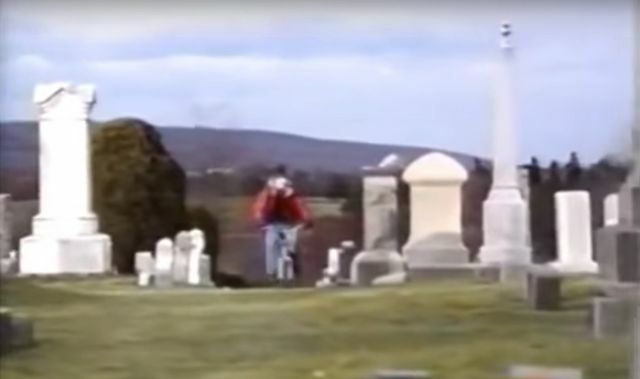 Chubbuck's suicide video has become one of the most famous “lost media”, works or information that are made inaccessible to the general public due to circumstances or the owner's decision. As with the WXLT disturbing video, the first albums of Boards of Canada, Alfred Hitchcock's second feature film and Osama Bin Laden's corpse photographs are considered lost media. Since the early 2010s, the story and the quest for those elusive entities create a constantly growing enthusiasm on the Internet. This new interest for "lost media" can be seen as having started in the 10th August of 2011, when a "simpman" brought Reddit's attention towards an old children show called Cry Baby Lane. “[Today I learned] Nickelodeon released a TV Movie in 2000 that was so scary that they only aired it once. It is now considered a lost film,” he wrote as a title in the "Today I Learned" category of the community website. That was all it took for Reddit to decide to go find Cry Baby Lane. It only took four days for the Redditors to find the mysterious horror made-for-TV movie. On August 14th, a digital version of Cry Baby Lane was uploaded online by a young woman who taped it during its only TV airing, on October 28th of 2000. As they watched it, a large number of those web users, who were passionate about the whole deal, were disappointed to find out that the TV movie was much less scary than expected and quite lackluster. “I suspect Nickelodeon didn't actually pull it because it was too scary and that they pulled it because it didn't get many viewers and isn't a very good movie”, sighed a disheartened Redditor. Cry Baby Lane. Screencap: YouTube. Despite this disappointment, this great success born from the Redditors's initiative has gotten enough publicity to get Nickelodeon to rebroadcast Cry Baby Lane. It also led into the creation of r/Lost_Films, a Reddit subcategory dedicated to lost audiovisual material. Its founder AAjax was inspired by the TV movie's resurrection. When contacted by Motherboard, he explained: “When Cry Baby Lane resurfaced, I noticed that there wasn't any subreddit dedicated to the research of disappeared content.” Two years ago, this 47-year-old cash register repairman had already stepped into the world of media hunting by opening a community dedicated to unknown videos, r/ObscureMedia. AAjax's interest for lost media is a manifestation of his great curiosity : “I love to search for things that I haven't seen yet, the Redditor explains. It is always awesome to stumble into something that I have heard of years before, without ever having been able to find it. Lost films are part of my passion for media in general; I spend most of my free time on r/ObscureMedia, looking for rare and odd content." Being also a movie buff, AAjax is also the moderator of five other subreddits, devoted in particular to exploitation movies or director John Waters. Dmcnelly, second older administrator of r/Lost_films, admits that his passion for lost “movies and TV shows” began in a burst of "morbid curiosity" that quickly turned into “all-consuming fascination” : “When people have a garage sale, I buy full boxes of VHS tapes and Betamax. (…) I have at home a 20 Terabits server that is soon going to be completely full with family home movies.” For this 27-year-old system administrator, tracking inacessible contents is a way to remember that the Internet doesn't do everything : “We have been used to having permanent access to an over-abundance of information, so much that the idea of something disappearing now seems inconceivable." AAjax and dmcnelly's pronounced taste for missing movies is customary for lost media seekers. The Internet is crowded with websites exclusively devoted to missing reels, and some distributors have made a business of it. Their research is also encouraged by large private organizations and public institutions, such as the French Centre National du Cinéma (CNC) or the British Film Institute (BFI). Unfortunately, those who are looking for unobtainable non-theatrical audiovisual content, video games or even musical works do not have such a network. Since the opening of the Lost Media Wiki, they nevertheless have an assembly point. Just like /r/Lost_Films, the Lost Media Wiki was created following the events of August 2011. If Cry Baby Lane wasn't discovered, Wiki founder dycaite would possibly never have caught on the world of lost media. Fascinated by the story of the found TV movie and his own interest for information preservation, this 24-year-old Australian has made a list of missing documents that he has shared with other enthusiasts on the "Paranormal" category of the 4chan forum. This is where the idea of a collaborative website devoted to those unattainable objects was suggested by a nameless web user. Dycaite did not hesitate and in November 2012, he launched the Lost Media Wiki. The Lost Media Wiki is committed to list and identify all "lost media", no matter their nature, in order to facilitate their search. Dycaite's participatory encyclopaedia ranks about 1 300 articles divided into a dozen categories: animation, TV, literature… Each one of them tells the story of a lost cultural object, whether it be a planetarium-exclusive Pokémon movie or the NES port of SimCity. On the website is also a small forum where lost media hunters meet to talk about their latest progress or bring the community's attention on new disappearances. In contrast with /r/Lost_Films that stagnates at 4 000 subscribers, Dycaite's creation grows rapidly since its launch. The Australian is delighted: “We have between 400 to 2 000 unique visitors who come through our site each day. I would have never thought that the website could be so popular, this is a pleasant surprise. The number of seen pages and users has kept on growing since its activity." Despite this positive state of affairs, the Lost Media Wiki doesn't bring in a single penny. The website, which is free of advertising, actually costs money to its founder., "We are at a loss, but a few generous donators are helping us stay afloat." This financial contribution is all the more beneficial, since the efforts of the Lost Media Wiki's members have already paid off more than a few times. 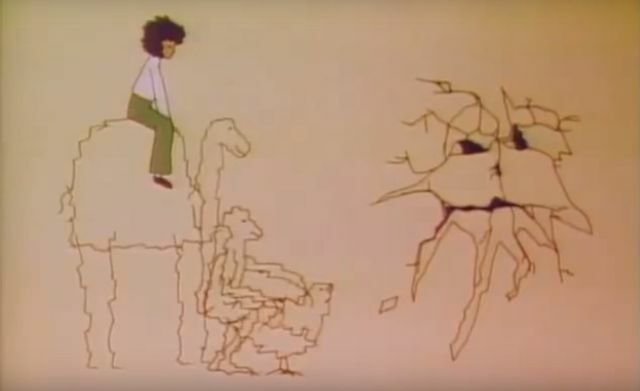 The successful hunt of which Dycaite is the proudest of is the one that he led in 2013 to find Cracks (referred then by fans as Crack Master), an animated short reputed for its scary-factor that vanished after having aired in famous kid show Sesame Street in the '70s. The young man has done all in his power to find it: he wrote to its creators, launched petitions, drew the attention of many online communities to the problem and even contacted the owner of a dubious copy, without success. And then, on Christmas day, a mysterious nameless person sent him the animated short by email. “Everytime I thought about it, I had to pinch myself, Dycaite says with amusement. When it happened, I couldn't believe I finally found this video. At this moment, it was considered an Internet urban legend. It was incredible.” A great success that briefly granted him the attention of mainstream media. Despite its triumphal outcome, the Cracks adventure is only one of the many successes of the Lost Media Wiki : Dycaite regularly publishes bulletins that list the last finds of the Lost Media Wiki members, that have often seen the light of day due to some stroke of luck or impressive investigative work. Spurred by the success of his efforts, the Australian is concocting great plans for his website. “Sometime, it is difficult, he declares. But the results are worth it.” Dycaite has already set his sights on a new lost media: Christine Chubbuck's suicide video. “Since I discovered the two movies presented at the Sundance festival of this year that were addressing her story, I fell back into it." he explains. “Fell back”, because the searchers of his kind did not wait for the journalist's fate to be projected on the big screen to go seek the famous WXLT reel. The members of the Find A Death forum, for example, have been on its tracks for about ten years. A Day With Spongebob Squarepants. Screencap: YouTube. 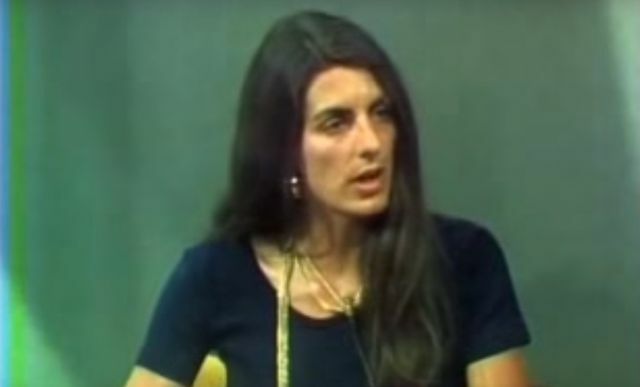 There's a question left hanging, in the mind of all those lost entity seekers: does the footage of Christine Chubbuck's last moments still exist? Maybe they have been lost for good, or maybe even destroyed. At least, we know that they exist. Because of their inaccessibility, media declared as "lost" is covered with a mystery that is highly appreciated by imaginative dreamers and malicious pranksters, so much that some of the most famous examples could just be myths. 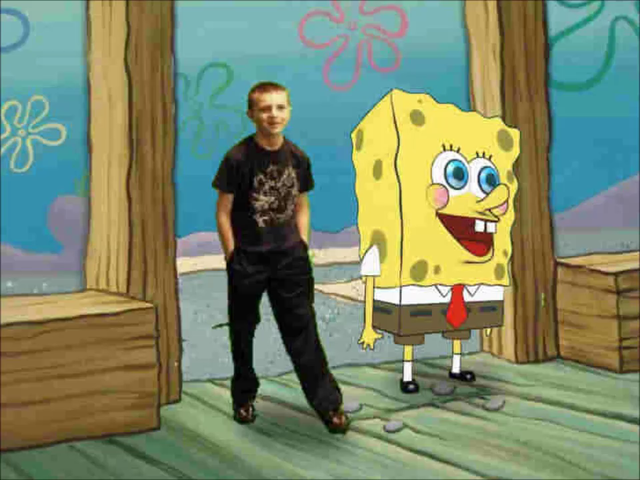 The most consulted article on the Lost Media Wiki is about a film called A Day With SpongeBob SquarePants : The Movie, a mockumentary that is stirring up the Internet ever since it appeared on the Amazon catalogue in 2011. Proofs of its non-existence keep on coming, but a few zealous SpongeBob fans keep on believing. Everyone has their own treasure hunt. Originally written by Sébastien Wesolowski and published February 17th, 2016.